A component of addiction that tends to be overlooked is how addiction affects and changes the brain of its sufferers. When an individual starts on their path of addiction, by voluntarily using substances, their brain changes over time to accommodate this lifestyle. Today we know that the brain mechanisms which drugs affect are our memory, mood, perception and emotional state. It is almost as if when a person uses drugs, their brain fires off a signal that begins to require more and more substance use to feel “normal”. These messages set off the addict’s incessant drug seeking behaviors and intense substance cravings. Studies that have been conducted on the connection between the brain and addiction, have shown that repeated drug use, over an extended period of time, can literally alter the brain’s structure and function. These effects can last a long time, even after the addict stops using. Drugs infiltrate the brain’s pleasure center and deplete it of necessary chemicals. The brain then goes into overdrive trying to produce more of the “feel good” chemicals that have been exhausted. The dire need to stimulate pleasure receptors is the outward appearance of an addict desperately trying to get his next fix. We know that drug addiction has absolutely nothing to do with a person’s willpower, morals, values, personality, and/or weaknesses. Addiction does not discriminate. It can affect anyone in the world. Drug addiction is comprised of biological, physical, mental, and spiritual aspects. We believe in targeting each of these areas so that your recovery has the maximum opportunity to be successful and long-lasting. Neurofeedback is simply a process of retrieving information from your brain concerning your brain’s activities. 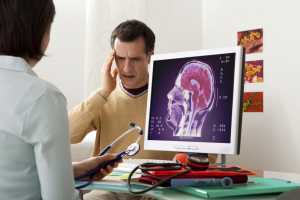 When an individual undergoes neurofeedback therapy, also referred to as biofeedback therapy, they are attached to devices that deliver a highly competent healthcare professional pertinent information. The information that will be evaluated is your blood pressure, heart rate, temperature and your brain’s patterns and activities. There are many issues that neurofeedback is successful in treating and addiction is one of them. Biofeedback therapy is conducted help retrain your brain to resist drug cravings. Your treatment provider will study the results of your therapy and offer you real solutions on how you can change and improve your condition. Neurofeedback is a proven method of helping other disorders that are commonly attached to addiction. Not everyone who has an addiction problem will suffer from a co-occurring disorder, however, many do. People who have addiction issues also tend to have other mental health problems that require treatment as well. Some common co-occurring disorders for people with addiction are: anxiety, depression, obsessive-compulsive disorder, PTSD, ADHD, and bipolar. The process of neurofeedback will be able to successfully target any of these other mental health issues at the same time as combating the addiction problem. The professionals on your treatment team will provide you with valuable insight on how to change your ingrained responses to healthier responses. If you are interested in finding out more about neurofeedback, and want to know if it is a good option for you, talk with your doctor or therapist to find out more information. We wish you the best of luck on all of your paths towards recovery!